See the Minnesota Vikings play at home at US Bank Stadium with these exclusive Minnesota Vikings VIP ticket and hotel packages. Our Minnesota Vikings VIP experience packages include elements such as excellent Minnesota Vikings tickets, deluxe hotel accommodations, game day transfers, a VIP tailgate party, stadium tours, player autograph sessions, official gift items and much more. 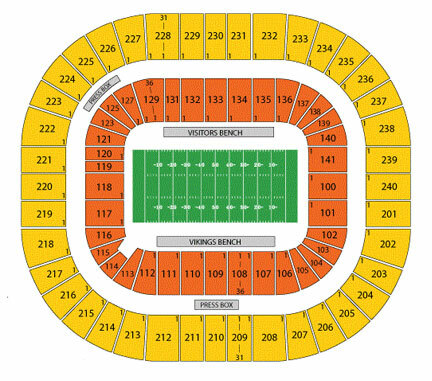 If you'd like to see the Minnesota Vikings play on the road click on Away to view available ticket packages. If you cannot find the Minnesota Vikings VIP Package you are looking for on our website, please contact us at 866.312.9295 for a custom quote or click here to submit a request online. Dates and times subject to change. All times are local unless otherwise noted. We are not affiliated with the teams, artists and venues for whom we provide tickets and ticket packages. We are a secondary seller of ticket and hospitality products. Products are sold at market rates, not face value. All sales are final.